One of my crafting goals is to crochet something that is not a straight line. You would think after 20 years of crocheting I would move past blankets and scarves, but sadly, I have never made anything else. But I am determined. Every blanket I have done over the past few years has had a new type of stitch that I had to learn in order to challenge my crochet skills. I think I am finally ready to move on to shapes. As I mentioned in the last post, I participated in the Cara Box exchange. Stephanie lives in Colorado and has made comments about the cooler weather. So I thought an ear-warmer headband would be appropriate. This pattern is still just straight lines, but I had to also sew a little bit. You double crochet however many rows until you get to your desired width. You will also need to make sure the length is a little shorter than the circumference of your head because it will stretch as you make it. I just used my own head as a guide, so I don’t want to give exact numbers because it may vary. The good thing about this pattern is it is so quick to make that if you need to start over, it really isn’t a big deal. You will make the long headpiece and a separate rectangle piece. First sew the ends together of the headband. 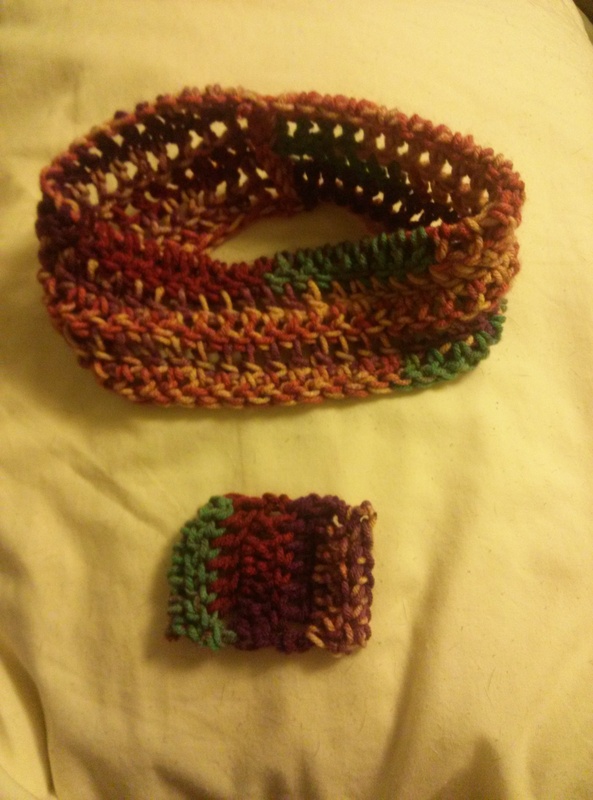 Then you will sew the smaller piece around the headband by connecting it’s ends. I sewed it over the seam of the headband just so that was covered. You do want to make it small enough that it will scrunch the headband together to create a ripple effect. And there you have it a simple cute headband ear warmer. 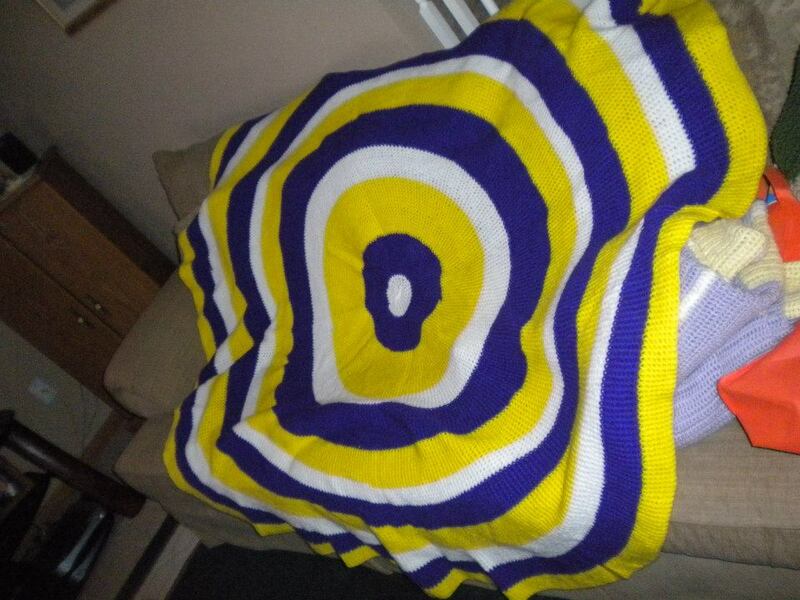 You could probably do this with many different kinds of crocheting, but I was going for a simple effect. Christmas is fast approaching, so we’ll see if I can make a flower applique by then. I can only hope! 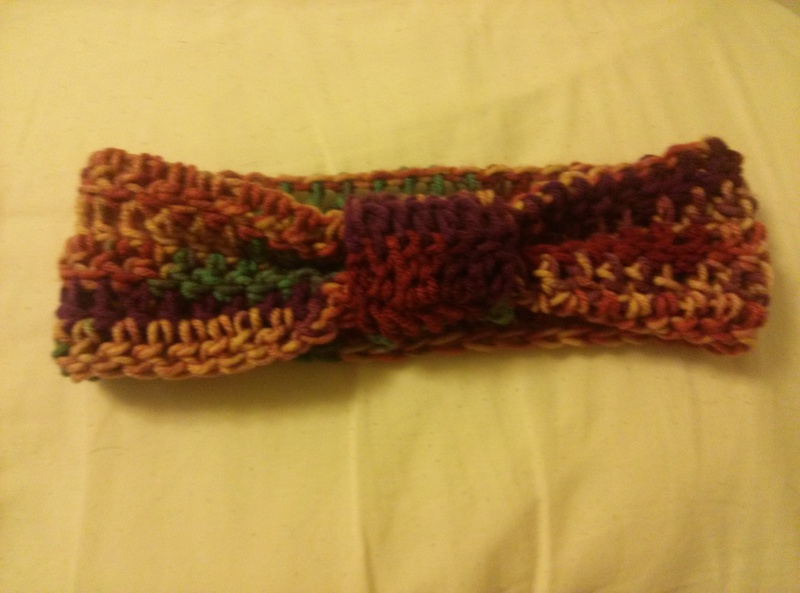 This entry was posted in Crochet and tagged crochet, ear warmer, headband. Bookmark the permalink. It ended up super cute!! !